On a speaking tour, Frederick Douglass learned that Harriet Tubman had just returned from a perilous journey into the South—where there was a bounty on her head—to usher more slaves to freedom along the Underground Railroad. Douglass wrote her "I have known the ovation of the crowds, but you have the applause of the midnight sky, and all its stars." With poetry, Black feminism was christened. To this day, feminists within the minority community carry heavier burdens than their white counterparts. Caucasian feminists advocate for recognition that our society is patriarchal and violently misogynistic. But African American feminists must counter the pressures – time old—to destroy their People. Black males formerly in chains are now confined behind iron bars. All his life, Douglass agitated for compensation for former slaves: forty acres and a mule. The payment never came. A shot rang out in Ford's Theatre, and any hope of a genuine Reconstruction- and equality- was strangled in the nursery. 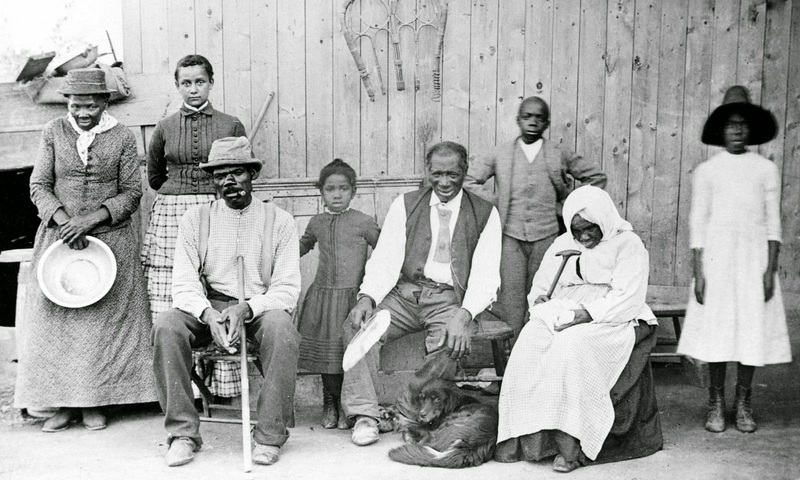 In May of this year, Ta-Nehisi Coates wrote an astonishingly effective and devastating case for reparations in The Atlantic. With painful, unrelenting accuracy, he traced the lasting injustice of slavery on modern Black life in America. The article has started conversation, that is being ignored in Washington. With an immense push, fueled by the rallying power of feminists nationally, and internationally, and with shrewd maneuvering, that payment is in sight for the great-great grandchildren of slaves who, stripped of everything, bequeathed to their children and children's children a priceless legacy—the desire to be free. "The doors to our prison are half open," Douglass wrote as he lay dying, "but with one gallant rush, we shall fling them wide." Reparations then, must be the insistent goal of feminism within the minority community and it must be tied to the feminist movement as a precondition of sisterhood and support. Genital mutilation? Yes, we bore scars on our back. The right of a woman to own her body? Yes, we have been property. And Black feminists and an ascendant movement for reparations that reaches out to the American Jewish community will find a political, organized body whose bridge to the Black community should be repaired: both are minorities in the United States. Both—alone among others—share the conscious memory of slavery. And the Jewish community for its part must acknowledge another historical tie: the Mid Atlantic Passage was Holocaust. Words. We are in a new subculture, but golden age of words. In the shadows of giant multi media corporations that advance popular authors, new web journals, blogs and small presses are satisfying the desire of the margins to be heard and legitimized. Reparations, shot through every feminist narrative, is our country's best hope to – at last- balance the ledger. Charles Bane, Jr. is the American author of TheChapbook ( Curbside Splendor, 2011) and Love Poems ( Kelsay Books, 2014). His work was described by the Huffington Post as "not only standing on the shoulders of giants, but shrinking them." A writing contributor to The Gutenberg Project, he is a current nominee as Poet Laureate of Florida.